One of the must-have for modern men. 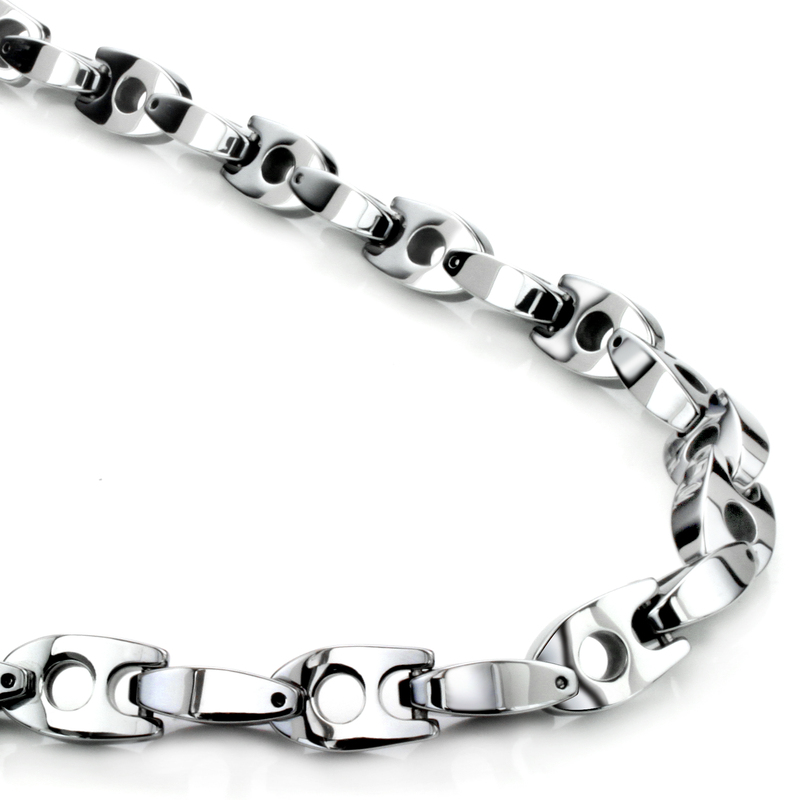 This chic tungsten carbide necklace features Manhattan style links, all in high gloss mirror finish. Meticulously designed to achieve the perfect balance between boldness and class, the links are crafted to give a subtle yet assertive look. Our specially designed security pins that hold the links together completes the necklace with superb durability and that gives you the peace of mind when wearing it. 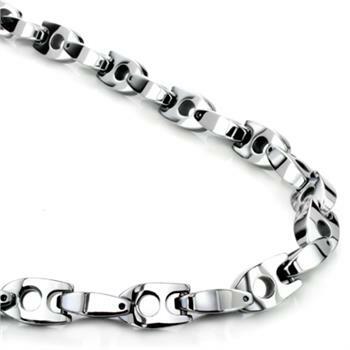 It feature a stainless steel lobsters claw clasp. The whole necklace is backed by our lifetime warranty, we will repair it or replace it free of charge any time if any part of it fails. It weighs approximately 7.7 grams per inch.